Suffering a car accident can be an emotionally and physically excruciating experience. When the wreck may have been caused by a drug- or alcohol-addicted driver, getting over accident injuries is only the first step in the long journey of recovery. If you find yourself in this situation or are concerned about a loved one, it’s time to seek help at an addiction and car accident recovery facility. We can help; simply call us at 1-888-319-2606 Who Answers? to get on the road to rehab and recovery today. Just over 1.4 million drivers were arrested for being intoxicated with drugs or alcohol in 2010. Around one in three Americans will be involved in an intoxicated driving wreck in their lives. In nearly 50 percent of intoxicated driving accidents where the driver was killed, the driver tested positive for both drugs and alcohol. Without a doubt, being involved in an intoxication-induced accident is traumatic for both the driver and anyone else impacted by the wreck. You may have been ordered by a judge to seek help, or perhaps you have realized how important it is to end your addiction while healing from your accident on your own. Whichever the case, it’s never too early to find the best car accident and addiction recovery program to suit your needs. A highly publicized myth is that marijuana is not a dangerous drug and nowhere near as impactful as addictions to alcohol or illicit drugs. Unfortunately, a 2005 addiction study in New Zealand has demonstrated that such an assumption is incorrect – at least in terms of car accident injury. After measuring performance by a control group and a variable group and applying adjustments for various demographic statistics, the study found that habitual users of marijuana who smoked pot just before driving shared a high correlation with car accident-caused injuries. Whether an addiction is formed around a seemingly less dangerous substance like marijuana or psychotropic drugs like LSD, the result can be just as dangerous. Alcohol may be the most visible cause of intoxicated crashes, but it’s only the start. 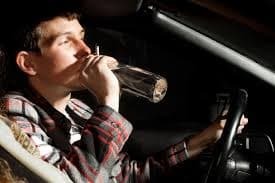 Identifying which addiction you or your loved one is battling is necessary before finding the right accident and car accident recovery program to enter. In an acute addiction and car accident recovery facility, you or your loved one will be under medically supervised care. Once you have made the commitment to go into an inpatient addiction and car accident rehab center, your recovery protocol will be formed around your specific needs. First and foremost, your physical injuries will be addressed if they have not already been treated in an emergency room or by your family physician. 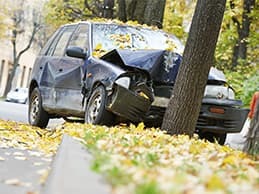 Car accidents can sometimes cause injuries that do not become apparent until days after the wreck. Unless your physical needs are met, you may not be in the right frame of mind for the hard work of detoxing and addiction recovery process. In an acute addiction and car accident recovery facility, you or your loved one will be under medically supervised care. Doctors, nurses and other medical professionals will monitor your recovery from injury, detoxification and psychological counseling. Working with a trained psychologist or psychiatrist is a key component of achieving sobriety and later maintaining substance-free living. Typically, counselors and social workers will be available for around eight hours per day, usually during standard work hours, to help patients along the road to recovery. Primary medical professionals will watch over you or your loved one 24 hours per day. Once you recognize that you are responsible for a car accident because of your addiction, you can begin to seek the care you need. Then, it’s important to both identify your specific addiction and find the best rehab facility to address your dependence. After you have completed an inpatient stay in one of these centers, you’ll be ready to go back into the world but will still have a lot of dedicated work to do to prevent a future relapse. Once you recognize that you are responsible for a car accident because of your addiction, you can begin to seek the care you need. Staying sober outside of an addiction and car accident recovery center can include continuing psychological counseling, attending support group meetings and taking things one day at a time throughout your rehabilitation. We can help you find the best resources for both inpatient and outpatient opportunities when you call us at 1-888-319-2606 Who Answers? .